Our team of experts will help you every step of the way! There are many things that lure people in to currency trading. For some it’s the attraction towards an independent lifestyle where one can make big money without ‘working for the man.’For others, it’s the ability to still maintain their day job, whilst earning a steady income on the side through being able to trade for just 60 minutes a day. To begin your journey through Forex journey, we have developed an excellent program that will immerse you in amazing content from one of the world’s most successful Forex traders and teacher – Greg Secker. We appreciate that learning to trade may appear to be a difficult or daunting thing to embark on. However after 13 years of teaching people of all backgrounds and professions to trade Forex we have developed a host of FREE products to help you on your Journey. The Learn to Trade approach is a comprehensive Forex course and not just Currency-Trading-For Dummies, showing all types of investors how to maximise their currency trading success. Whatever motivates your wish to begin a career in Forex trading, we can show you strategies and management techniques designed to help you become a successful trader. Now available in the Philippines, you can reap the benefit of a supplemental income or entirely transform your lifestyle from home with our Forex trading for beginners course. More comprehensive than a simple Currency-Trading-For Dummies introduction, the Learn to Trade difference means understanding the complex foreign currency trade market and how to really succeed. Our strategies and tools are designed for people who wish to maintain their current lifestyle and career, as well as those seeking to fully immerse themselves in the wealth potential available in currency trading. A solid foundation and introduction is required to successfully manage a Forex trading career. If you’re new to currency trading then you need a comprehensive beginners course designed to help you understand your potential rewards as well as the risks. Often new-comers make the mistake of believing they can teach themselves the basics and turn a quick profit without committing themselves entirely to understanding the market and how it works. Take advantage of our Free Workshop to introduce yourself to some of the terms and concepts involved with Forex trading. From there you can evaluate your potential as a trader and move on to our more advanced courses showing tips, tricks, and strategies for managing your exponential wealth generation on the Forex market. Can you lose? Forex trading is high risk as well as high reward. Our professional traders can teach you management strategies for risk profiles but, ultimately, you need to be prepared to lose some of your investment capital. Are you patient? Successful traders practice patient, considered trades. The key to building a successful trading profile is learning, understanding and practicing patience before making a trade. Are you good under pressure? Trading can be emotional and the pressure can be high. Remaining calm and cool can often mean the difference between frantic, unwise trades and identifying solid trading opportunities for success. If you were able to answer these questions truthfully then you’re ready to embark on an exciting new chapter in your wealth generation as a Forex trader. The foreign exchange market is the biggest market in the world, operating around the globe 24/7. As a trader you speculate on currency movement, buying weak currencies and selling when they increase in value. You can trade anywhere, at anytime, as fast or as slowly as you wish. Learn to Trade has developed our comprehensive Forex course for new traders who wish to learn how to trade successfully from experience, professional investors. We provide you with expert advice and support to supplement your foundation and ensure you adequately understand how to manage your risks and take advantage of potential rewards. Successful traders often use a combination of both types of analyses, however, some traders may favor one over the other dependent upon their strategies. Essentially, technical analysis is the process by which price movements are understood through analysis of past market trends. By understanding why or how a price has changed through technical analysis, a trader can meaningfully interpret charts and potentially predict future price moves. It’s about learning to see patterns in the market and predicting when they will occur again. Tools use for technical analysis include trend lines, support and resistance lines, and technical indicators. Charts are used primarily to make predictions. Fundamental analysis involves a more macro view of market influences, taking into account the impact of factors like economical changes, social and political influences. It is primarily focused on understanding and interpreting long-term factors on global economies and speculating on the effects of interest rate announcement, GDP data, and unemployment statistics. A comprehensive introduction, ongoing training and support will show you how to take advantage of both of these analysis types. Whether you’re looking to boost your wealth or entirely transform your lifestyle, we can teach you how to make money on the Forex market. Our teachers are real, professional traders with years of experience and plenty of insight to share. 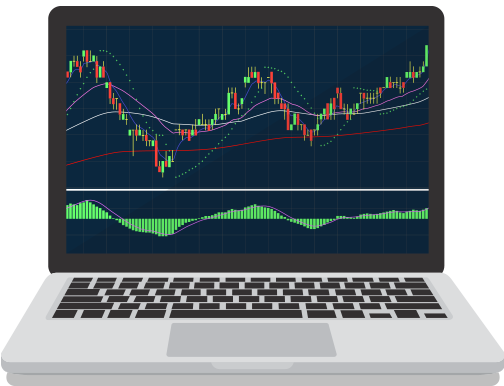 We provide all levels of support for all types of traders, beginning at the novice level with a free introductory workshop and then more advanced courses and coaching as your trading skills develop. Speak to our training specialists today and discover how you can begin to unlock the currency trader within.